Executive Director at The Advisory Board Company and previous Chairman and CEO of ActiveStrategy brings wealth of excellence to telemedicine cloud-software company. SnapMD’s approach is unique in that its sole focus is developing best-in-class telemedicine software and partnering with leading healthcare providers. SnapMD, the leading private-label enterprise telemedicine software company, today announced that Jack Steele has joined its Board of Advisors. A highly regarded software and quality expert, Mr. Steele has lead numerous innovative companies to great success by sharply focusing on high quality products and service excellence. He will provide SnapMD’s leadership invaluable guidance regarding strategy and performance management frameworks for the long-term. In addition to being a former Baldrige examiner himself, Jack has helped organizations achieve four Malcolm Baldrige National Quality Awards from the National Institute of Standards and Technology (NIST), six Baldrige site visits, two Deming Prizes, at least a dozen state-level Baldrige Awards, as well as breakthrough results for too many companies to name. 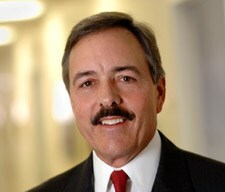 Jack first became a practitioner of performance excellence, Balanced Scorecards, and strategy management three decades ago, when he contributed to Florida Power & Light’s Deming Quality Management Award win in 1989, making Florida Power & Light the first company outside of Japan to win this prestigious prize. Since then, Jack has applied strategy management and performance excellence methodologies in other executive and consulting positions, leading in several cases to doubled revenue, profits, and total market value.